As it has already been announced stats tracker now offers a gamespy master server replacement. You can enable it in 2 clicks, either by editing hosts file or installing a patch. P.S. Many thanks to BaDTimE for all the research he has done on this matter! 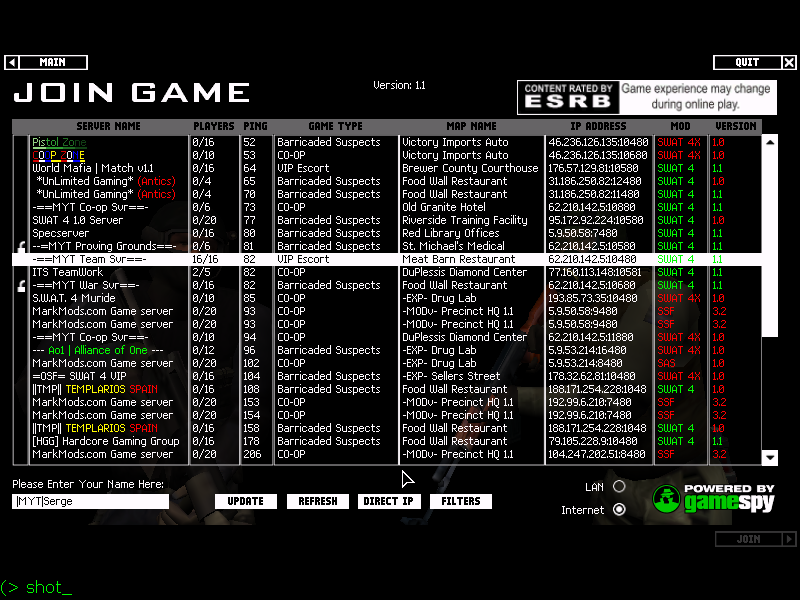 Thanks for your effort serge, this is the best thing happened to swat since the shutting down of gamespy. Personally I think the patch file is more simple way for people, its like antics a copy-paste system. I will advertise that to all forums I know. I tried to do just that a little while ago but I was stuck with parts of the protocol I did not understand, so my PoC was put on hold. 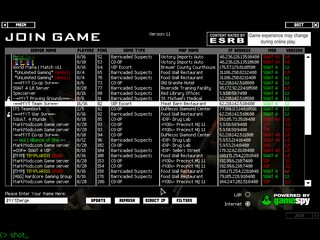 I had established contacts in the attempt of getting DNS delegation of the GameSpy subdomains at the time of my little experiment, but since I had not got anything working I did not go further. Now that something is working it might be a good time to try to convince owners to give us a hand. I'll let you know if something arises. It is nice to be able to see the browser working again. Excellent effort!